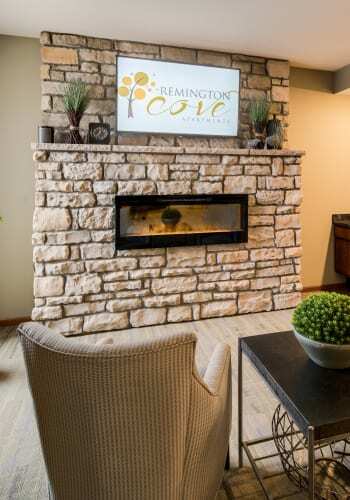 Remington Cove Apartments offers generous floor plan sizes and convenient amenities all within a smoke-free environment! Enjoy our landscaped courtyard with fire pit and grilling stations, spacious community room, full fitness center, fenced in pet park, and WiFi lounge. Apply online, or schedule your tour today.